Give us a call at 573.897.3609 or email by clicking on the contact button. Amanda L. Grellner is a native of Linn, Missouri and graduated from the University of Missouri – Columbia, with a Bachelor of Science Degree in Political Science. She graduated﻿ from the University of Missouri – School of Law in December of 1999 and began working in the McCuskey Law Office in May of 2000. Amanda remains active on many local boards and organizations throughout the community, including chairing the board of the Community Health Center of Central Missouri. She is active within the community and with the local church she attends, St. George Catholic Church in Linn, Missouri. Amanda is also the elected Prosecuting Attorney in Osage County, Missouri and has been since February of 2002. 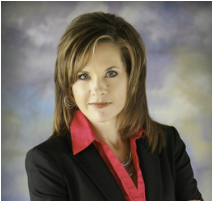 In addition, she maintains a full-time private practice with an office in Linn, Missouri, where she maintains a general practice, with a focus on family law (dissolutions, paternity cases, adoptions, etc. ), estate planning, contracts, probate, business organization, and general civil litigation. Vicki has lived in the Central Missouri area since 1980. She began working in law enforcement in 1980 and stayed in that field for the next 12 years. In 1992, she went to work for the Governor’s Transition office, for then Governor-elect, Mel Carnahan. Vicki began working for the Governor’s Chief Counsel and Deputy Chief Counsel as well as for the Office of Administration’s Chief Counsel. For the next several years Vicki was able to work with the governor’s office, and the Office of Administration, until eventually transferred to other divisions within the Office of Administration until she resigned from state employment in 2000. In 2000 Vicki began working at her first private law firm that practiced civil litigation such as personal injury, medical malpractice, wrongful death and worker’s compensation. During this time Vicki began taking classes necessary to become a certified Paralegal. In 2001 Vicki received her Certificate of Paralegal in Good Standing from the Missouri Trial Attorneys Association. Vicki has continued to work in the legal field since 2000 as a paralegal and legal assistance. Her direct email address is vzimmerman2017@gmail.com.